The 7-11 Breathing technique has the power to change lives. If you suffer from poor sleep, anxiety, depression, feeling overloaded or stressed – then this audio CD can help to improve your life – today! 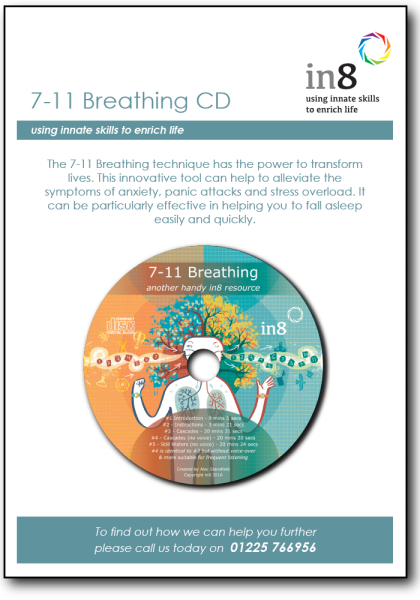 Track 1: A detailed description of 7-11 Breathing which includes why it works and how it can help you. Track 2: Instructions to help you get started. Track 3: A twenty minute relaxation track (“Cascades”) specially composed to guide you to a place of deep relaxation. Ideal for beginners. Track 4: A duplicate of track 3 – but without any voice-over. This is more suitable for frequent listening once you have mastered the technique. Track 5: A slower and quieter composition (“Still Waters”). This is more suitable for more advanced users and those who prefer a slower tempo. I started using 7-11 Breathing with my clients over ten years ago. Over the past ten years I have taught the technique to hundreds of people and the results have been absolutely incredible. It is such a simple technique – yet has the power to completely transform lives. 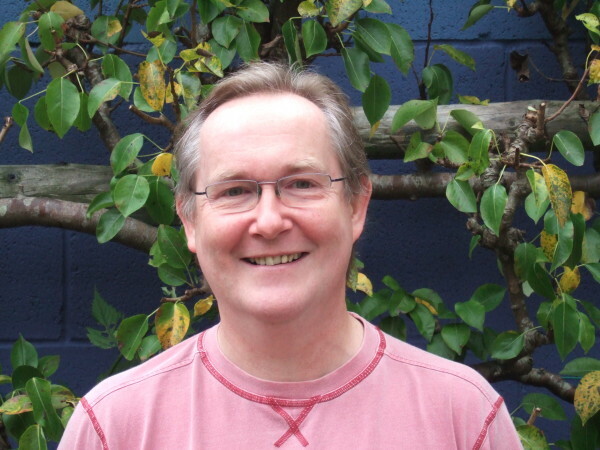 Tim was a client of mine from Oxfordshire who said: “5 sessions with Alec turned my life around, he saved my life and gave it back to me, only better”. When I asked him what had made the most difference to his recovery, he told me it was the 7-11 Breathing technique. If you have not already seen it – please check out this full description of the technique. 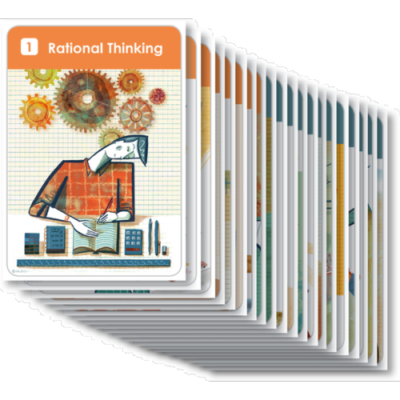 Now, some people find they can learn this technique very quickly – others find it more of a challenge. 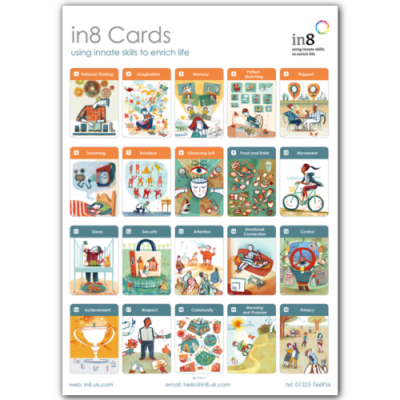 What is interesting is that it actually works for everyone, providing you can find the right way to get the message across. So, over the years I have experimented with different ways of teaching the basic technique. 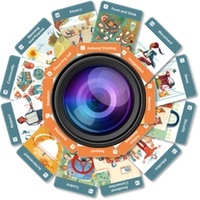 When I first designed the animated image for our website in 2009 it quickly became very popular and our page describing the technique has been number one on Google ever since. But I have long thought that a piece a music would be the best way to get people started. This is a piece of music specifically designed for synchronised breathing. As you adjust your breathing cycle to match the underlying pattern of the music, your body’s natural parasympathetic nervous system will be stimulated – causing automatic and guaranteed relaxation. At any time you can know whether to breath in or out by cues carefully built into the music. For example, the gentle rustling of a rain stick accompanies every out breath. The initial melody rises with each in-breath and falls with each out-breath. A soft downbeat accompanies every change of breathing direction and an easily recognisable 16th-note pattern leads to the start of every in-breath. All of this is woven skillfuly into a beautiful piece of music designed to calm your mind and body. The audio for the “Cascades” tracks is processed using sophisticated digital signal processing techniques which modulate the spatial relationship between the two stereo tracks. When listened to using headphones, this stimulates subliminal brainwave hemisphere synchronisation causing the left and right hemispheres of the brain to work together. It also stimulates the production of alpha-wave brain activity, which are typically generated when the brain is in a state of relaxed, detached awareness such as during meditation and mindfulness exercises. The twenty minute long relaxation track takes you on a journey of relaxtion which is quite different to any other ‘meditation’ or ‘guided visualisation’ CD’s that you have ever heard. After a period of time to allow you to match your breathing, it gradually slows down – inviting you to move to a deeper state of relaxation as you continue to match your breathing cycles to the music. Natural sounds such as birdsong provide a calm “close to nature” feeling. After the deepest relaxation phase, the music gradually speeds up again, bringing you back to being fully alert and feeling wonderfully refreshed by the end of the piece. 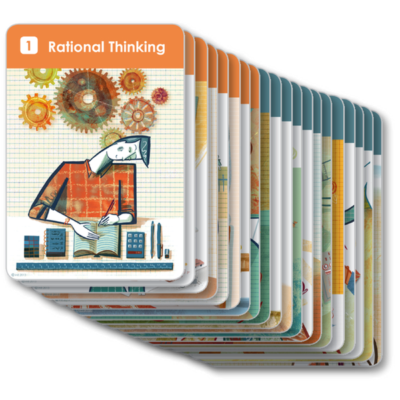 “This is NOT a ‘meditation track’ – this is a world class, structured, well produced tool, that enables you to journey into a relaxed state. 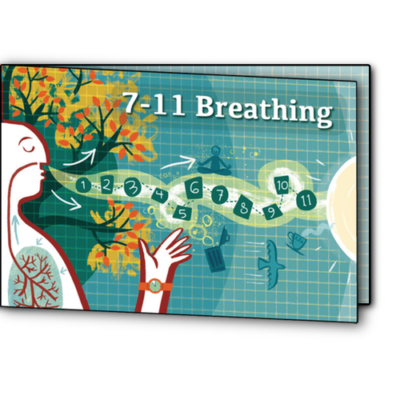 I have always found concentration on my breathing very difficult, my mind wanders; but when listening to the 7 11 breathing track I can confidently follow the track to breath properly and allow myself to relax fully. – After the first minute you I find myself instinctively following the music and allowing it to relax body and mind. Using the 7 11 audio download frequently has enabled me to access my relaxed state much more easily – even without the track itself. It has proved extremely beneficial; I am a more relaxed person thanks to this track. Track 1 includes a detailed background to the technique and explains how it affects the brain’s fight and flight response by stimulating the body’s parasympathetic nervous system. It explains how the 7-11 breathing technique can reverse the effects of anxiety, panic attacks, sleeplessness and stress overload. 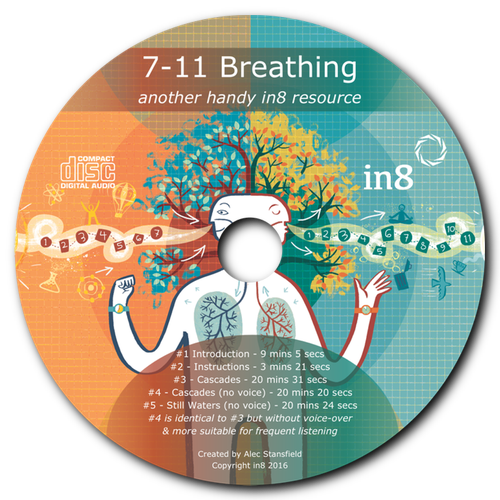 Track 2 gives detailed instructions on how to do 7-11 Breathing and guidelines for using the audio relaxation track most effectively. 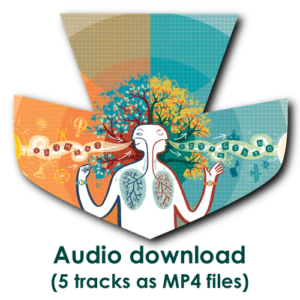 Track 3 is a twenty minute piece of music which is designed to help you control your breathing in a way which is guaranteed to relax both your mind and body. The audio begins with a narration to help you synchronise your breathing to the tempo of the music. Once you are used to the cycle of in-breath and out-breath, the narration ceases and the music takes over. Track 4 is identical to Track 3, but without the voice-over narration. This is useful for frequent repeated use when you don’t need to be reminded of how to get your breathing in sync – and prefer to just enjoy the music. Track 5 is another twenty minute piece of music (“Still Waters”) which is similar to “Cascades”, but slightly slower and quieter. This track is designed for people who have more experience of controlled breathing or Mindfulness practice. Your news letter reminded me to let you know how delighted I am with your CD. I gave it to 2 clients who were having difficult practising 7:11 breathing and both found it extremely helpful and effective. The I tried it myself and had to agree with them. It helps anxious people continue to practice for long enough to be effective. It is extremely pleasant and relaxing. Thanks for a terrific piece of work. Lucy Evans.